They are induced ovulators and can fall pregnant at any time of the year. However we usually plan our births for late spring or summer to reduce the risk of exposing the young cria to poor weather conditions. The female is normally ready for re-mating 2-3 weeks after giving birth, so is potentially pregnant for most of her life. The unborn cria does not grow significantly until the last 2-3 months of gestation reducing the burden on the young or lactating mother to be. 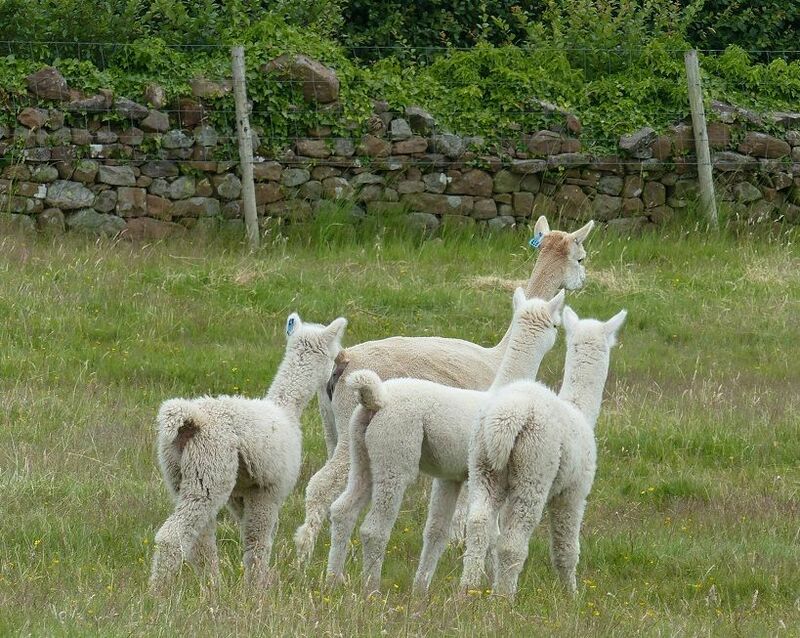 Maiden alpacas can be mated from 12-24 months of age depending on their size (they must be at least 60% of their adult size) and interest shown in mating. Males usually reach maturity at 2-3 years of age. We feel strongly that good quality stud males with proven genetics should only be used in the breeding programme. Remember it takes nearly a year for your cria to arrive, you do not want to be disappointed.